Changing a car’s oil is relatively simple, so would it be cheaper and easier to go to a quick-stop place near my house or should I go to my Speedcraft Nissan dealer in West Warwick? 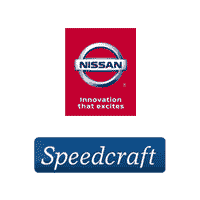 Factory-certified parts – Speedcraft Nissan uses only genuine Nissan OEM (Original Equipment Manufacturer) parts, the same parts your car was built with, not aftermarket replacements. The parts conform to a standard of quality and engineering that only the manufacturer can authorize. Training – Speedcraft Nissan technicians are trained and certified by Nissan. Knowledge – Speedcraft Nissan mechanics work on Nissans all day, every day and are more likely to understand what’s under the hood than mechanics working on every make and model on the road. They know your car better than anyone. Customer Service Standards – Nissan service departments are required to measure up to corporate standards of customer satisfaction. Coupons – Speedcraft offers dozens of deals on its services, so quick-change companies cannot even compete on price. Convenience – No appointment is needed for oil changes and you’ll be in and out in under an hour. And it’s not just for oil changes. Check out these services offered by our Express Service If you’d rather schedule an appointment, you can do so online. Conveniently located off Exit 8 on Route 95, near Providence, Speedcraft Nissan is the place to go if you’re looking for a high quality oil change with high quality service. We’ve all heard the horror stories about quick lube places that didn’t put in oil pan plugs, failed to tighten them, used the wrong oil or worse yet, didn’t put any oil in at all, resulting in a seized engine. Speedcraft Nissan technicians are trained for your car. It’s just as quick and cost-effective as other options. A little peace of mind will make a convenient trip to Speedcraft Nissan well worth it. 0 comment(s) so far on Oil Changes: Should I Go to My Nissan Dealer?